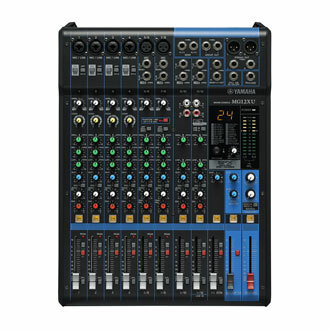 Whether you're only mixing one microphone with a stereo source for the web, or multiple microphones and line sources for a live show, you want the highest performance, flexibility, and reliability available. 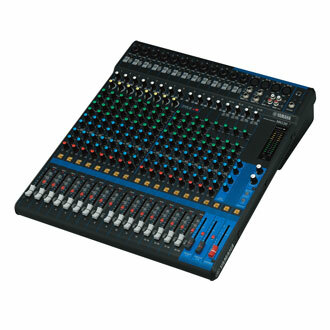 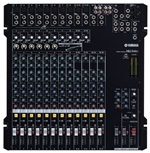 The Yamaha MG124C mixer covers a wide range of applications from solo home recording to complex live sound with no compromises in sonic quality, processing versatility, or dependability. 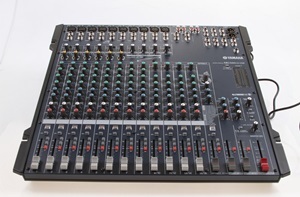 This mixer features the same compact, lightweight design as the preceding models, and incorporate the latest generation of specially-selected components for further refined performance and audio precision. 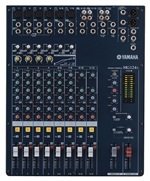 The MG124C also features Yamaha's innovative one-knob compressor for built-in dynamics control that further eliminates the need for external equipment and potentially troublesome connections. 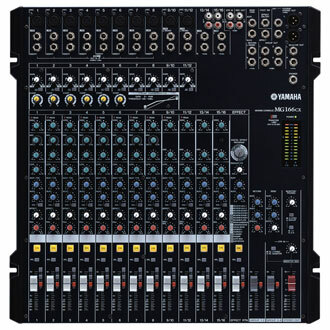 If you need a convenient analog mixer that can handle 12 input sources and deliver pro-level sound, plus top-quality SPX effects, you're looking in the right place.